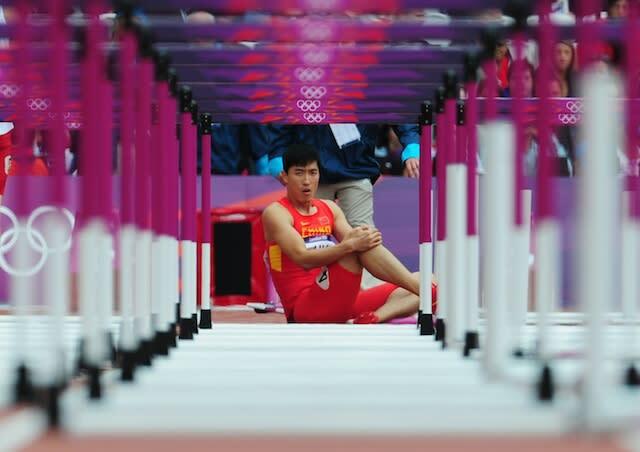 Olympic gold-medal favorite Liu Xiang failed to clear the first hurdle during heats on Tuesday and was disqualified, likely bringing an end to an Olympic career that would have been remembered as much for injuries as his 2004 gold medal. But Liu changed the narrative after his fall on Tuesday. He limped off the track after clipping the opening obstacle and then, suddenly, changed his mind. 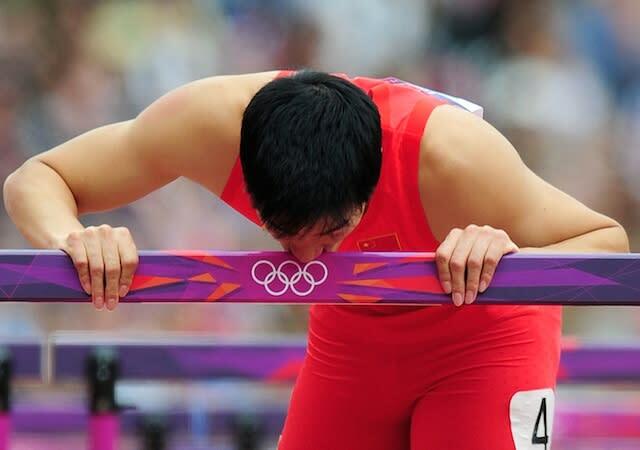 Instead, he hopped 100 meters on one foot to what would have been his final hurdle, gently bent down and kissed it, a symbolic end to an Olympic career that began with a gold medal in Athens but was overshadowed by the disappointment of Beijing, when he was China's great track hope but could barely get out of the starting block due to injury. Liu was met at the finish line by his fellow competitors, who helped him off the track into a wheelchair. It was a tragic triumph.